EXO ONE Reveal Trailer + Kickstarter is LIVE! Following on the heels of a successful EGX Rezzed with coverage from the likes of Edge, Eurogamer and RPS, EXO ONE is now live on Kickstarter! 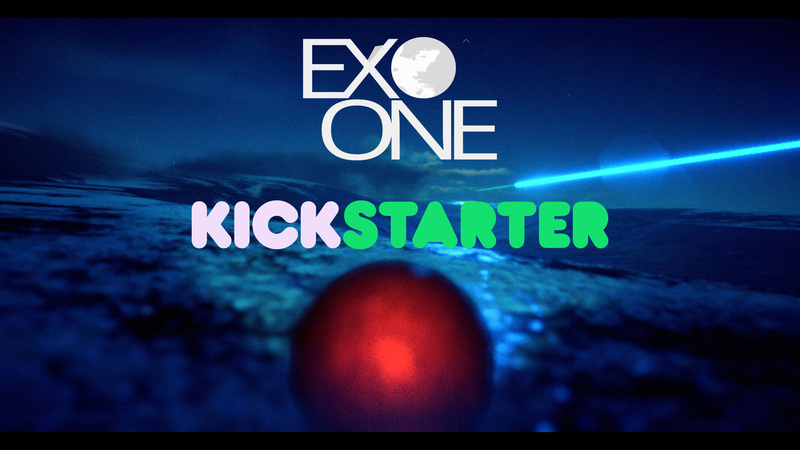 Support EXO ONE's Kickstarter campaign here. 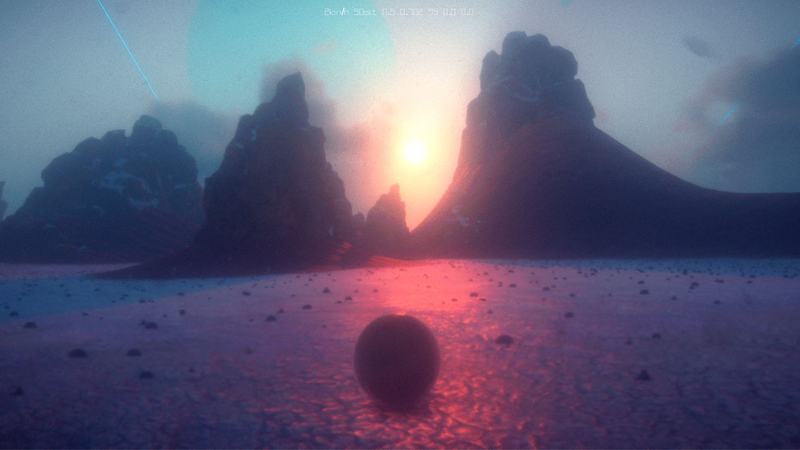 EXO ONE is a momentum-based, exoplanetary exploration game being developed mostly by myself (Jay Weston) in Unity. Players pilot a strange, spherical alien craft that can manipulate the laws of gravity, on mankind's first ill-fated mission outside the solar system. The gameplay mechanics are inspired by games like Tiny Wings (iOS), Journey (PS3), and Tribes Ascend (PC). Every aspect of the game is laser focussed towards delivering an entrancing, flowing and exhilarating feeling of movement across a range of alien exoplanets. 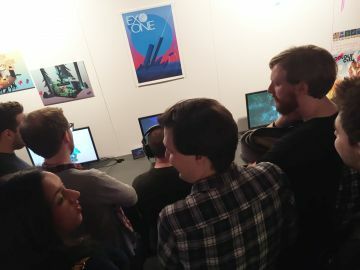 After being selected to show the game in the EGX Rezzed: Leftfield Collection in London, EXO ONE received praise from a range of media at the event, going on to be named among the events top games by Eurogamer and The Guardian (among others!). This month, Edge magazine, in a 2-page preview, said, "Tiny Wings, Journey and Kubrick collide in this sci-fi delight". This is a real career highlight for me, I can't say I ever expected to see my name or my game in its pages. And yes, it'll be framed on my wall for alllll timmmeee! Now all I have to do is live up to the hype! Eep! The trailer shows for the first time substantially more gameplay, as well as the future-historian narrator that features throughout the game. So after over a year of development on the game, I decided to move forward with the Kickstarter launch to raise the quality bar, and help fund the remaining 8-9 months of development. Myself, along with Rhys Lindsay (our musician) and Tim Mcburnie (artist) will be looking for $35,000 AUD (or $26,000 USD) to complete all 12 planets, record music, develop concept art, record the voice overs and optimize the game. 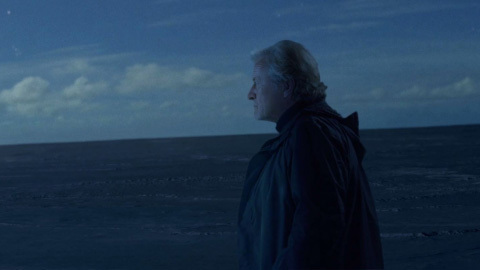 The campaign focuses on almost entirely digital rewards to keep overhead low when fulfilling rewards, with the sole physical reward being a limited run of one of Tim's posters, signed by the team. The campaign will run until the end of the month. A week ago I began sending out preview builds to press in the hopes for some launch day coverage of the campaign. The preview build, which will be similar to the Backer Alpha build reward, contains a quick tutorial scene and 2 planets. I've also beamed out a press release, which you can check out here if you're curious. And I'll be all over the rest of the internet as well, on Facebook, Twitter, Reddit, etc! As you perhaps know, the first 48 hrs of a Kickstarter are super important, so if you're thinking of backing EXO ONE, I'd love if you considered backing it on day one to help drive momentum and help the campaign become a success! Otherwise, I'd be super grateful if you could help out in the following ways! Go to www.twitter.com/JayWeston and like/retweet my pinned Kickstarter Tweet, or like the Facebook page. Go to the EXO ONE Kickstarter page and back the game, even if just $1! Your contribution will be used to caffeinate me and get the game done! Forward this email to someone who likes space/sci-fi games or games like Journey, Tiny Wings, Tribes Ascend, or Abzu. After a long crunch period working up to EGX Rezzed, and then without much pause to get this campaign ready, I feel like I have done all I can to try and make the Kickstarter a success. With a little luck and your support, hopefully, the campaign will reach its goal!